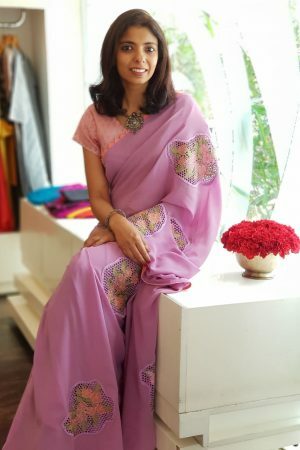 Cutwork silk sarees are a great representation of unique, yet classical Indian fashion. 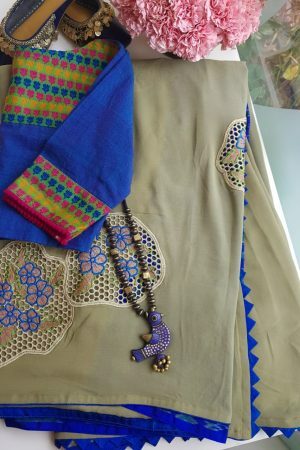 They accentuate the beauty of the Indian woman’s wardrobe. 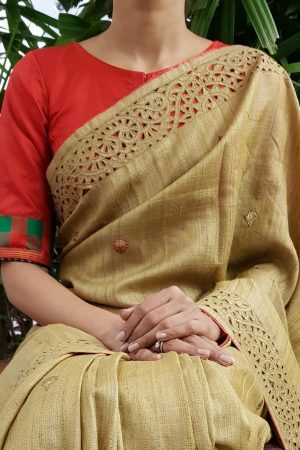 This is the reason; Aavaranaa is engaged in offering an exceptional range of designer Cut work silk sarees. 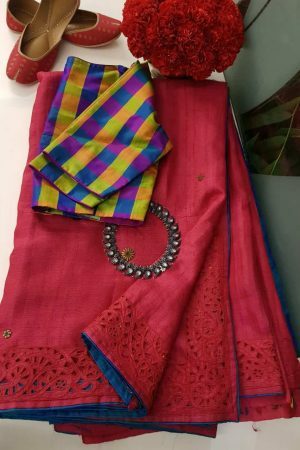 Our team of expert designers and craftsmen takes into accounts the latest trends and fashion of the industry and offer a suitable range of these sarees. 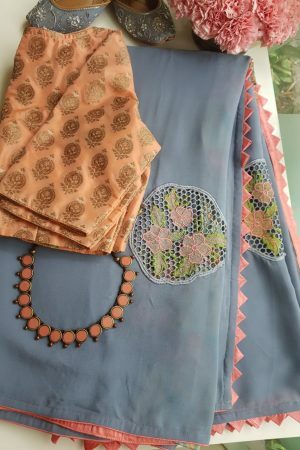 Unique print and designs have been assigned to these sarees which embellish their beauty. 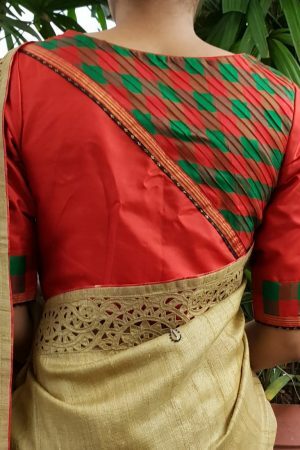 Especially, the borders are designed in such a way that they can alone adorn the entire look of a saree. 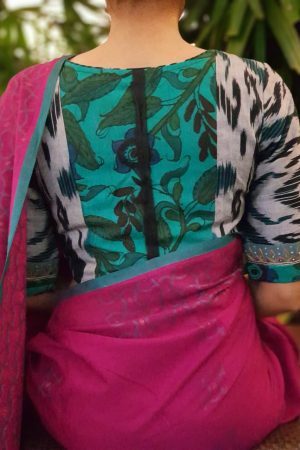 The fine quality of silk engraved with beautiful embroidery, results in a true masterpiece. 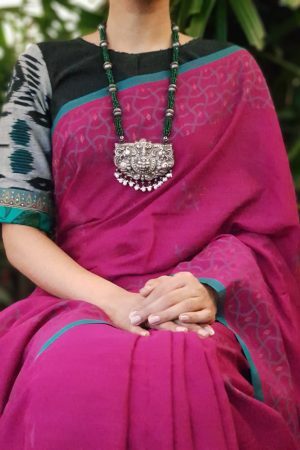 The stunning range is designed with a vision to provide a traditional look to Indian women with a modern twist. 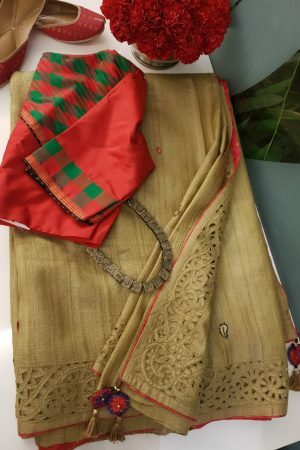 As these ranges of sarees comprise both light and heavy work, the collection gives sufficient options to choose sarees suitable to wear on various occasions. 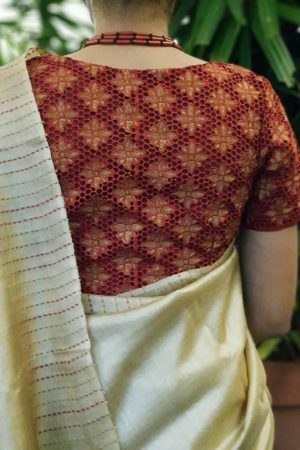 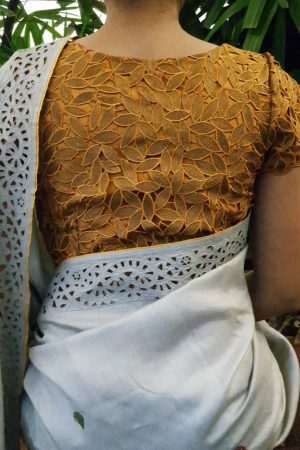 The designs are cut away to form a beautiful pattern,hence the name cutwork.Whether it is a grand wedding celebration or a small get together, the range gives you an option to pick one in accordance with the occasion. 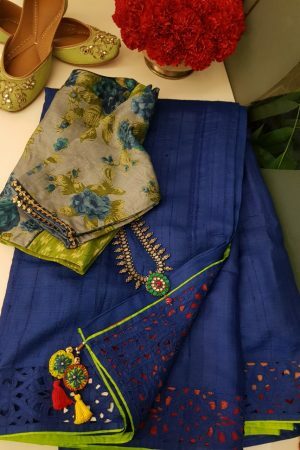 The vibrant colours make these sarees look really attractive and suitable for formal occasions. 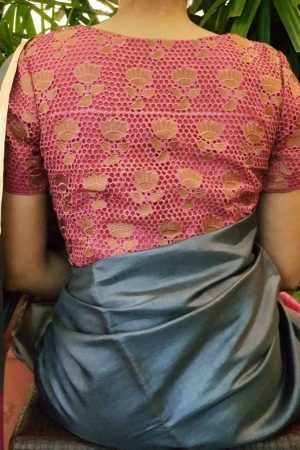 Some of them in subtle colours look very decent and classy. 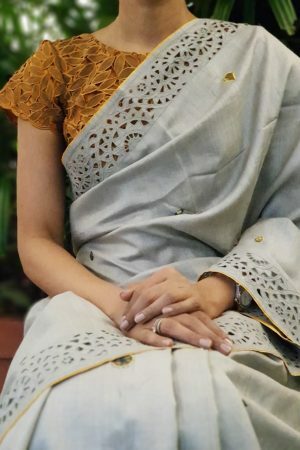 Reach out to our brilliant collection of cutwork silk sarees at our online shopping store. 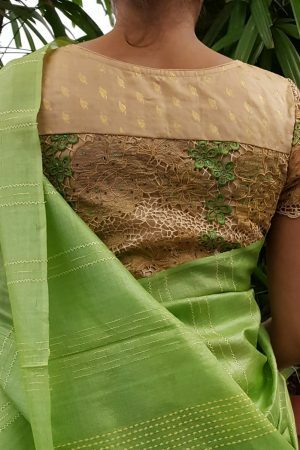 With Aavaranaa cut work silk sarees shopping is easy as a piece of cake. 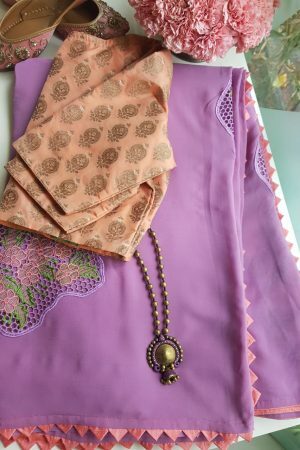 The products are categorized on the basis of price color, and types, so that you are directed easily to your desired product without wasting time. 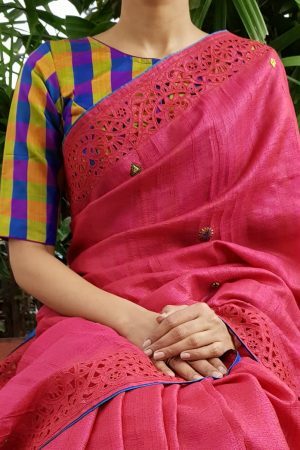 Buy cutwork silk sarees from Aavaranaa that promises to provide a comfortable and modern drape for every woman.